Now, if you have some kind of medical problem that contributes to you having bad breath, then this piece is not directed at you. However, if you don’t have some type of medical problem that contributes to you having bad breath, then the first thing that I want to tell you is to brush your teeth as soon as you wake up every morning. Use some mouthwash and floss your teeth. It’s important to have good oral hygiene. Some people spend a tremendous amount of money on their clothes and look really nice in their clothes, but their breath will greet you before you even get close to them. If you don’t have the necessary money or insurance to go to the dentist, use some baking soda to work with your teeth and breath. Some of you ladies are really beautiful, but you have to understand that it’s important to brush your teeth. To you men, there’s nothing masculine about having funky breath—brush your teeth! I want you all to know that maintaining poor hygiene can lead you to severe illnesses. I know some people will say that they really cannot afford to have their breath smelling great like it needs to be. The least you can do is brush your teeth and keep some type of mint in your mouth. If you know that you are not properly taking care of your breath, don’t get up in people’s face and don’t talk so much. Far too often, the people with the most unpleasant breath are the main ones doing all of the talking and the main ones all up in your face. Men, these women don’t want you when your breath smells awful. Women, men think it takes away from your attractiveness when they cannot distinguish the difference between your mouth and a filthy toilet. Some people flaunt themselves around like they are really more special than fresh air. Unfortunately, when we get around some of these people, their breath makes us desire fresh air more than life itself. I really think that you are not being considerate of others when you don’t make a serious attempt to have fresh breath. It’s not enough to simply take care of body odors and to take baths; you have to take care of your mouth too. 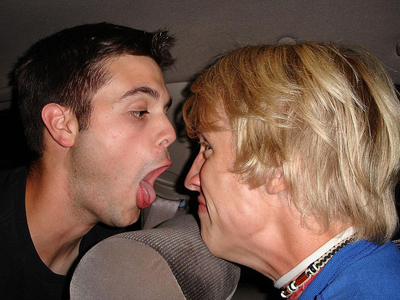 Your mouth can smell just as terribly as your body if you don’t take care of it. For those of you who may not understand why you stay sick all of the time, poor oral hygiene just may be the reason why. Some people can pollute an entire room with their funky breath. You should be ashamed of yourself—funky self! Don’t let your foul breath be the reason people try to avoid you. I just want to raise people’s awareness about their breath. Always take daily periodic self-examinations of your breath. Make sure your breath is fresh before you come around people. Give yourself daily pleasure by brushing your teeth and using mouthwash as often as you can—at least twice a day.